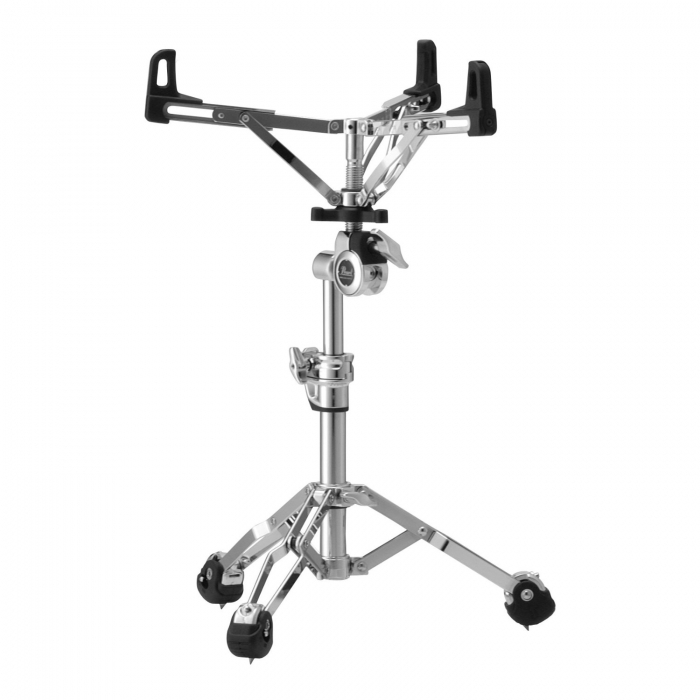 Pearl snare drum stand. Handles Pearl, Premier, and Andante snare drums. Easlily extends to hold your drum pad at concert height. Double braced concert height snare stand. Gyro-Lock angle adjustment enables you to hold the drum at the perfect angle. Significant improvements such as new Air Suspension Rubber Tips which promote increased resonance, new Butterfly Nut for easy snare basket adjustment, and the new Trident Design Tripod base. Much stronger than cheaper models. The basket on the S1030 stand adjusts for different size drums (10"-16"). Height adjustable from 18 - 25 inches. Shorter version of the S-1030L. Perfect for the practice hall, concert stage, or at the highland games. Simply the best made one on the market.